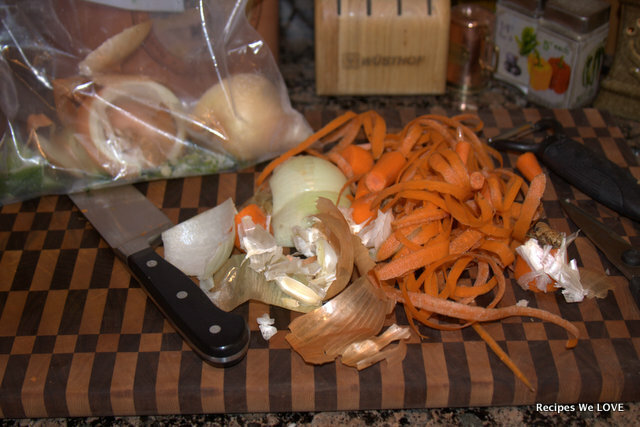 Just a little kitchen tip… when you are cleaning, trimming, and prepping veggies like onions, garlic, carrots, and celery save the parts you would normally just throw out and throw it all in a bag in the freezer. And if you are like me I rarely use celery so when I have leftovers I toss all of that in there too. 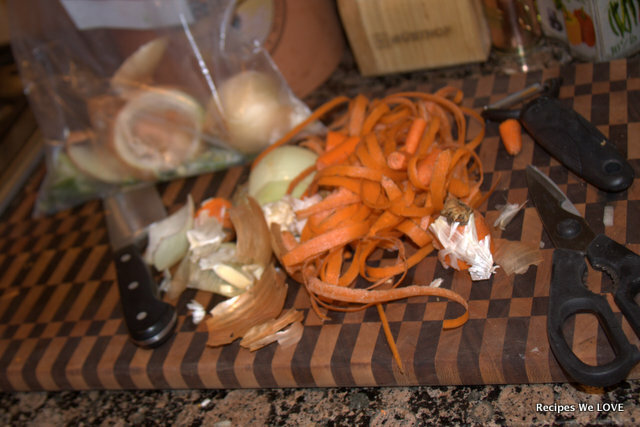 Then when it is time to make beef or Chicken Stock pull out some veggies from you stock bag. This way you are not wasting anything, and that is what I aim to do.